Yes this table is sturdy, strong and stable. It'd better be. 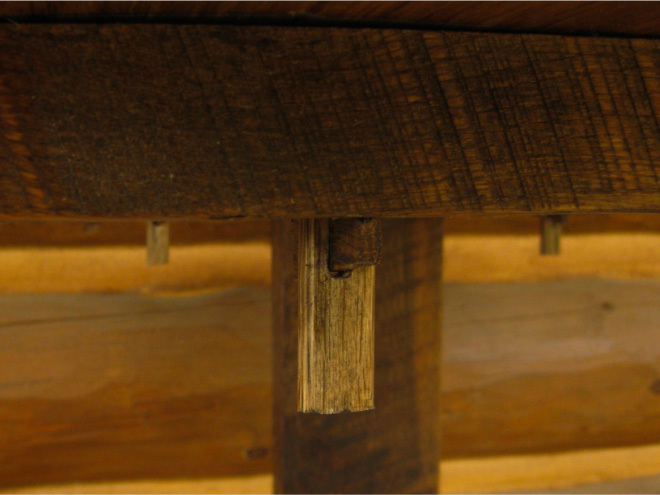 But it's named Stable Table because the two inch thick oak boards that this table is made from were previously stable stalls of an early 19th century barn. 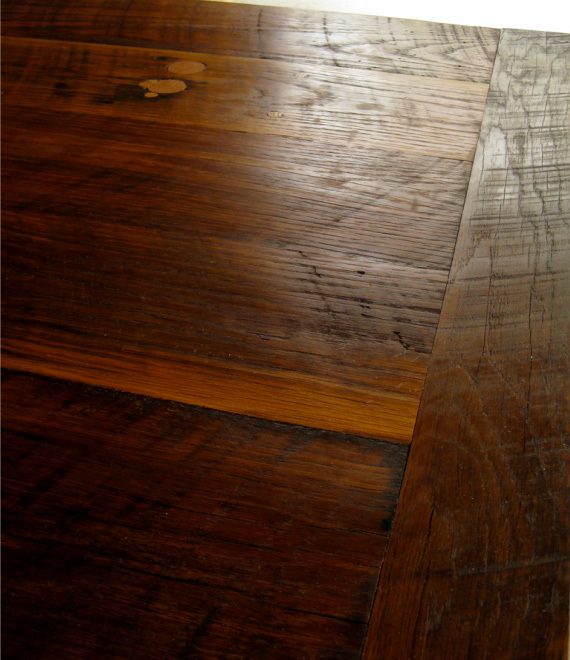 The aged oak is pure, simple beauty, sanded the precise amount to show its natural sheen, but without sanding through the nearly 200 year old saw marks. Working with this old growth, tight grain oak, it being hard as a rock, chipping saw teeth, provided a constant reminder of the fortitude of the pioneers who worked the wood without modern tools. 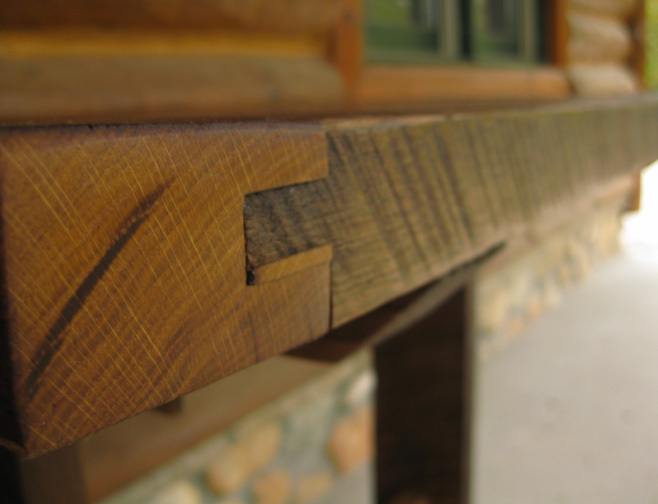 The horizontal lines of the thick table top and leg braces complement the vertical lines of the legs and through tenon joints. 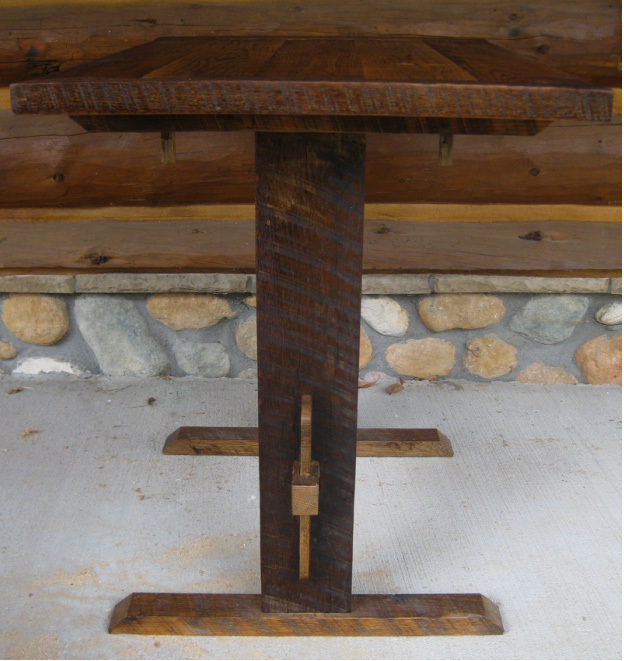 Built without any metal, this table is designed to be deconstructed allowing the owner to attach the table-top to a shorter table base. This high table provides a down-at-the-heels elegance making it equally suited for beer or champagne.